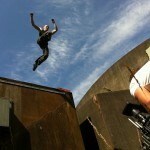 Two primary characteristics of parkour are efficiency and speed. Traceurs take the most direct path through an obstacle as rapidly as that route can be traversed safely. Developing one’s level of spatial awareness is often used to aid development in these areas. Also, efficiency involves avoiding injuries, both short and long term. This idea embodying parkour’s unofficial motto is être et durer (“to be and to last”). 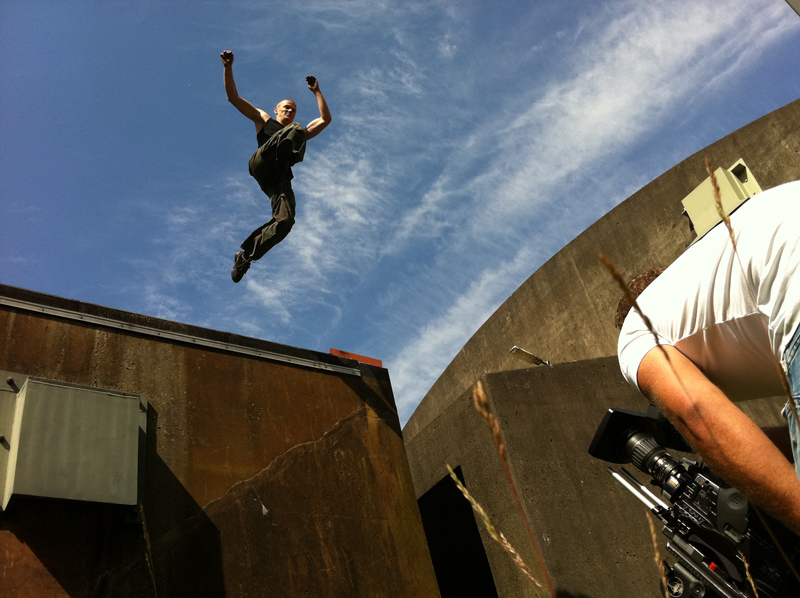 Traceurs say that parkour also influences one’s thought processes by enhancing self-confidence and critical-thinking skills that allow one to overcome everyday physical and mental obstacles. A study by Neuropsychiatrie de l’Enfance et de l’Adolescence (Neuropsychiatry of Childhood and Adolescence) in France reflects that traceurs seek more excitement and leadership situations than do gymnastic practitioners. The first terms used to describe this form of training were “l’art du déplacement” and “le parcours”. The term “parkour” was coined by Hubert Koundé. It derives from “parcours du combattant”, the classic obstacle course method of military training proposed by Georges Hébert. A practitioner of parkour is called a “traceur”, with the feminine form being “traceuse”. They are substantives derived from the French verb “tracer”, which normally means “trace”, or “trail” (as in “he escaped without a trace”). This showreel is made by one one of the progression stunts members, Bart van der Linden.